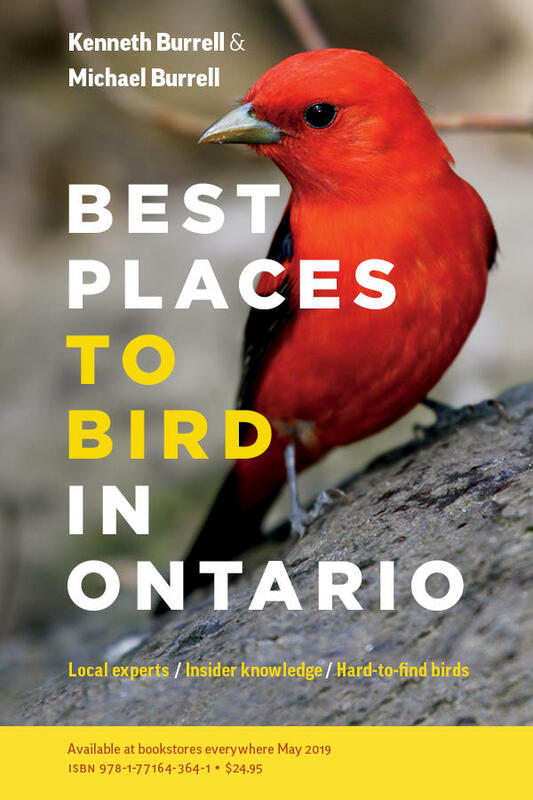 Best Places to Bird in Ontario covers the top 30 birding destinations in Ontario, with up-to-date information on hard to find species, directions, birding tips, and much more! Each chapter/region covered has an in-depth overview to the region from a birding perspective, as well as a site guide with directions, colour maps and photographs for each chapter.This exciting new guide will be released for purchase on March 31st but April 6th will be the first opportunity in the GTA to meet one of the authors, ask a few questions, purchase a book $24.95 plus tax and get your book signed. With spring migration just beginning this new book, Best Places to Bird in Ontario, will help you plan your best and most successful spring migration trips ever! Check out the Burrell Birding website to learn why the authors are two of Ontario's leading birders.